Are you swimming with the Sharks? We're excited for the upcoming television show, Shark Tank, premiering this Sunday at 8pm on TEN. Some of our amazing customers have informed us that they will be featured on the show – we can't wait to see how they handle the "Sharks"! Are you on Shark Tank? We can capture your Shark Tank experience by publishing your story right here on our blog. Shark Tank, the critically-acclaimed, Emmy award-winning reality show that has helped re-invigorate entrepreneurship in dozens of countries around the world, premieres on TEN in 2015. Hosted by Studio 10 anchor Sarah Harris, Shark Tank features five of Australia’s most successful business people, all hunting for the next big idea to turn into a profitable venture. Entrepreneurs Janine Allis (Boost Juice), Steve Baxter (internet pioneer), Andrew Banks (Talent2), John McGrath (McGrath Estate Agents) and Naomi Simson (RedBalloon) are Australia’s “Sharks”. 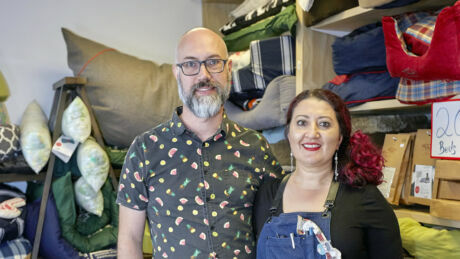 These self-made multi-millionaires judge the business concepts and products pitched by ordinary Australians and then decide whether to invest their own money to help market and mentor each. In exchange for equity in their existing business, the aspiring entrepreneurs must convince a Shark their idea is original and the product worth pursuing… but it takes more than passion to hook a Shark. Who will have the best business bait, the right line and the smarts to win a likely tug-of-war? And will anyone be mauled in the Shark Tank.